April 12,Baolong TechnologyThe annual report released that the company achieved operating income of 2.305 billion yuan in 2018, an increase of 10.77%; net profit attributable to shareholders of listed companies was 155 million yuan, down 10.93% year-on-year; realized non-recurring gains and losses attributable to shareholders of listed companies The net profit was 129 million yuan, a year-on-year decrease of 19.5%. It is worth noting that in recent years, Baolong Technology's revenue and net profit have been growing year after year, and the decline in net profit is the first decline since 2013. Baolong Technology was listed on May 19, 2017, and in the first year after listing, not only did its net profit decline, but its debt doubled, and its asset-liability ratio reached its highest level in nine years. According to public information, Baolong Technology and its subsidiaries are mainly engaged in research and development, production and sales of auto parts products. The main products are exhaust system pipe fittings, valves, automobile tire pressure monitoring system (TPMS), balance blocks, sensors, and automotive structural parts. And ADAS (Advanced Driver Assistance System). According to Baolong Technology Annual Report, the company achieved operating income of 2.305 billion yuan in 2018, a year-on-year increase of 10.77%, continuing the trend. However, its parent company's net profit decreased by 10.93% year-on-year, and non-net profit decreased by 19.5% year-on-year. The first decline in the years. In addition, the "Securities Daily" reporter also noted that all the products of Baolong Technology (including auto parts and non-automotive products) have a decline in gross profit margin. The company's overall gross profit margin was 32.83%, a decrease of 2.26 percentage points from the previous year. The interest rate was 8.8%, a decrease of 2.0 percentage points from the previous year. Although its gross profit margin and net interest rate are still higher than those of the same industry, from 2014 to 2017, from 2013 to 2017, Baolong Technology's gross profit margin and net profit margin are year-on-year growth. How will this disruption affect the company? Earlier, some media pointed out that in the second half of 2018, Baolong Technology incurred a large increase in expenses due to preparations for repurchasing DILL equity and employee equity incentives. The annual report shows that in 2018, the company's period expense ratio was 21.6%. The year-on-year increase of 2.2% also directly affected the company's performance. Operating income increased year-on-year, and net profit declined. Baolong Technology explained in the annual report that this was mainly due to the decline in domestic market demand, increased competition, US tariffs, joint ventures and acquisitions, and equity incentives to increase management fees and increase manpower expenditure. And so on. With the downturn of the domestic auto market, the competition of the automakers intensified, and the sales to the upstream suppliers were not up to expectations, and some customers had a large price cut, resulting in a decline in gross profit margin. "The auto market last year was really bad, and production and sales were falling. However, the real situation is not that the industry is generally not good, but the strong ones are strong and the weak ones are weaker," said a person in the auto industry who did not want to be named. In an interview with the Securities Daily, Baolong Technology’s director, Yin Shufei, said that in 2018, the global auto market ushered in an inflection point, affected by factors such as slow economic growth, frequent trade disputes and falling consumer confidence in the world’s major auto markets. Sales in the major auto market were weak, entering a stage of low growth or even negative growth. In addition to the major environmental impacts, the company's profits have also been affected by factors such as rising prices of major raw materials, rising logistics costs, overseas investment project costs and increased equity incentive costs. It is worth mentioning that in the financial indicators released by Baolong Technology, the performance of the asset-liability ratio is particularly conspicuous. Baolong Technology was listed in 2017. The total liabilities of the company in 2017 were 963 million yuan, the current liabilities were 735 million yuan, and the asset-liability ratio at the end of the year was 39.83%. In 2018, Baolong Technology's total liabilities were 2.09 billion yuan, and current liabilities were 1.394 billion yuan, almost doubled. According to data from Wonder Terminal, Baolong Technology's asset-liability ratio is 67.22%, which exceeds all companies in the same industry (including the top five companies with the market value). It is worth noting that from 2012 to 2016, the total liabilities of Baolong Technology were 447 million yuan, 589 million yuan, 630 million yuan, 791 million yuan, and 892 million yuan. Although it is also increasing year by year, it has no listing. After such a large increase. 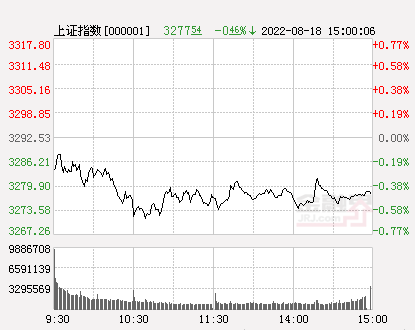 The Securities Daily reporter inquired about the Baolong Science and Technology Audit Report and found that Baolong Technology's non-current liabilities, short-term loans, long-term loans, long-term payables and other payables due within one year have increased significantly, among which other payables increased by 128 million. 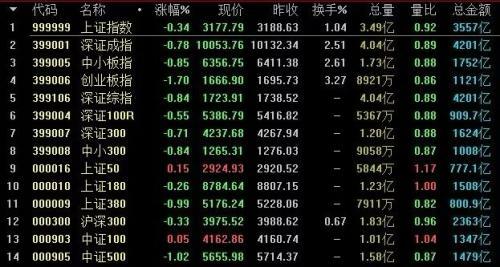 Yuan, long-term payables increased by 335 million yuan, non-current liabilities due within one year increased by 179 million yuan, short-term loans increased by 183 million yuan, and long-term loans increased by 122 million yuan. The latter three subjects are mostly Baolong Science and Technology. The company secured the loan through Baolong Technology. Baolong Technology announced that as of April 11, the total external guarantee of the company and its holding subsidiaries was 1.295 billion yuan, which accounted for 99.26% of the company's latest audited net assets. In 2019, the company intends to provide guarantees for subsidiaries not exceeding 2.8 billion yuan in the scope of the consolidated statements. In the case of bad market conditions, we still increase debts, expand rapidly, and plan such a high amount of guarantees. What are the plans for Baolong Technology? In this regard, Yin Shufei said, "At the end of 2018, the company's asset-liability ratio was relatively high, mainly because the purchase of a minority stake in the US subsidiary DILL, which is a holding subsidiary, led to an increase in long-term payables. The 2.8 billion yuan provided to the subsidiaries in 2019 was the expected guarantee amount. It will be used cautiously according to the requirements of the regulatory authorities and according to the actual needs of business development. 2.8 billion yuan is not actual borrowing."